For CD/DVD printing, for the packaging, or for booklets, you are always required to deliver us drafts, templates or files, but we can also prepare and help you design your products in-house. There are some important points to consider upon the delivery of drafts or files. 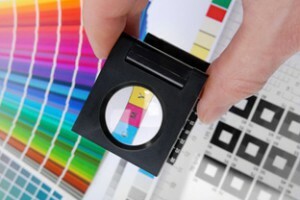 We experienced, that there are often discrepancies which affects the quality of your printed materials! Why don’t you take time for our design specifications before you begin with your artwork. It is worth it! If you deliver your finished films, please comply with the CD-Specifications! Do you prefer personal correspondence? – no more litho films for most print products and cardboard packaging! We offer to process a wide array of print products and cardboard packagings through CTP (computer to plate)- manufacturing directly from graphic data. This option lessens the whole production-period and saves considerable costs! You deliver your data in your own conventional way and method, and we convert that data into a format compatible to the current printer. Furthermore, you will receive a PDF to monitor your own files, we can submit further paper- proofs upon request. The various label printing procedures, however require a further (not in a few exceptional cases) production of litho films, while pressing DVDs or CDs. attention: RGB files have to be converted into CMYK. Due to this process, colors may vary. To avoid this conversion, please save generally in CMYK. EPS: DCS-files (5 segments) or single file. Binary coding in both cases. JPEG: JPEG-files in maximum quality (lowest compression), choose format option “baseline standard”. JPEG-files must be saved in CMYK-mode. Most applications only save screen resolution of imported EPS or Tiff files and file reference to the original. But for production you will need this high resolution file. Ensure to deliver those files aside. To prevent further complications, please save the document and its images in the same folder. Furthermore, do not change the original files after positioning in the document. Some applications offer functions, where you can list all files used in the project. If any mismatch occurs, we can solve your problems! Additional costs, according to our general price list. – Please name all files, which are supposed to be used. Delete all that will not be used. Please regard this advice, especially when using serif-fonts. Alignment of screening size and angle is used globally by Disc Partner (for example in print options of the application). That means, that single pages with preferences made by you, have to be changed back manually. On the other hand, if this specialty is wanted, please do so, but inform us about it. We recommend not to make any alignment to single objects of the document. Please name the colors. Please delete all defined colors in the document, which will not be used. These may be confusing. It´s very useful to print out the pages color separated. Especially when CMYK. There you can easily check the results. Please send in those prints! Some applications provide functions to implement trapping. The functionality changes from program a to b. in the further production process, you will see those differences. Once again, please check your alignment by printing out b/w test pages. Inscribe all data carriers clearly and send us laser prints or color proofs. Please make sure that all the graphic and image files, as well as fonts are delivered together along with it. For security reasons, we could only copy proofed data carriers and not the original version. Additional information could also be transmitted through a README-file. Any deviation from our specifications or these general annotations may end up in either sending in a new version or surcharge for our work. User name and password will be send upon request.